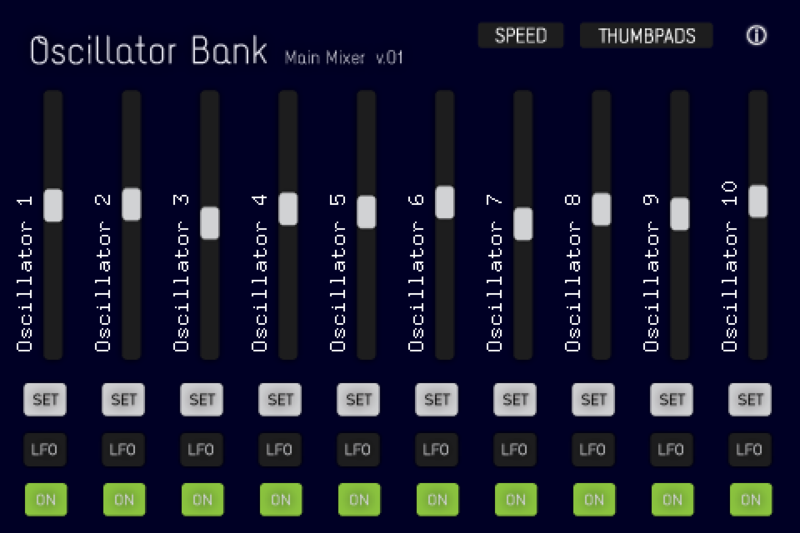 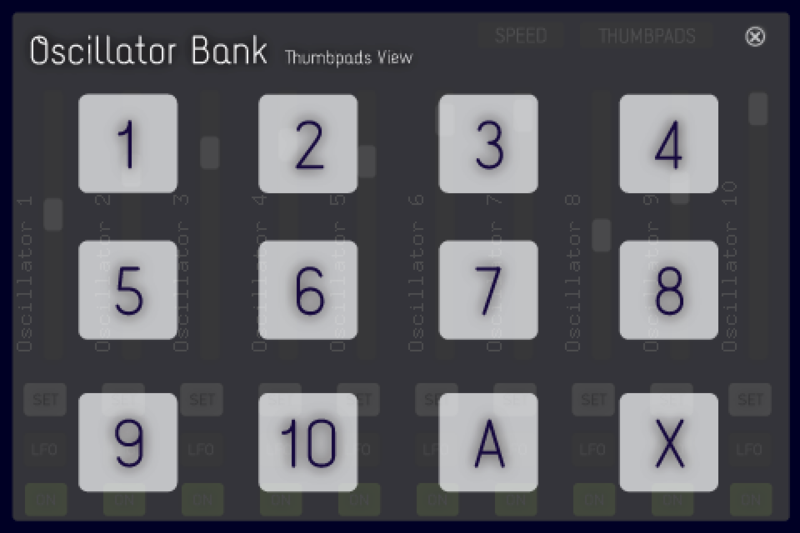 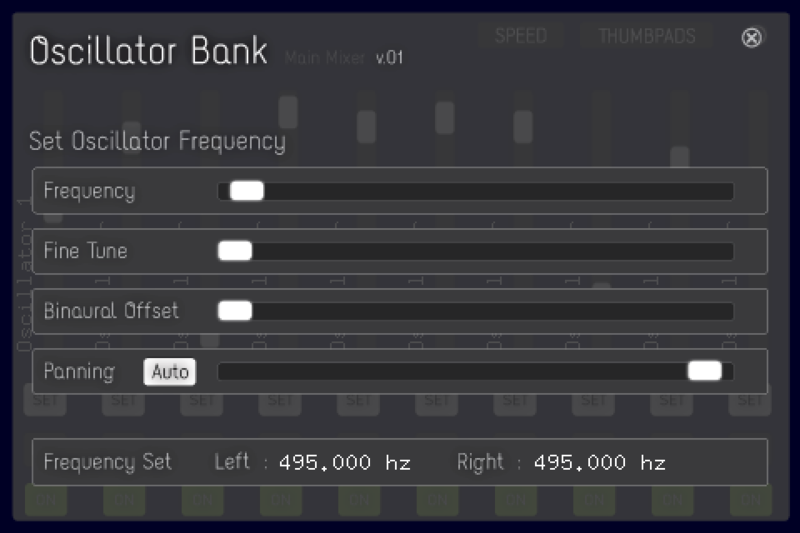 This App features a 10 channel mixer with 10 individuals digital sine waves. 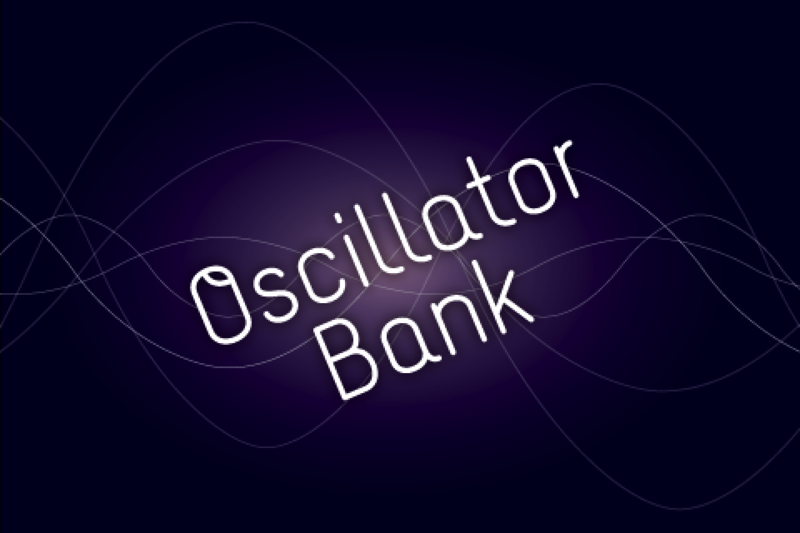 Each Oscillator Channel has independent controls for frequency, binaural offset and panning. 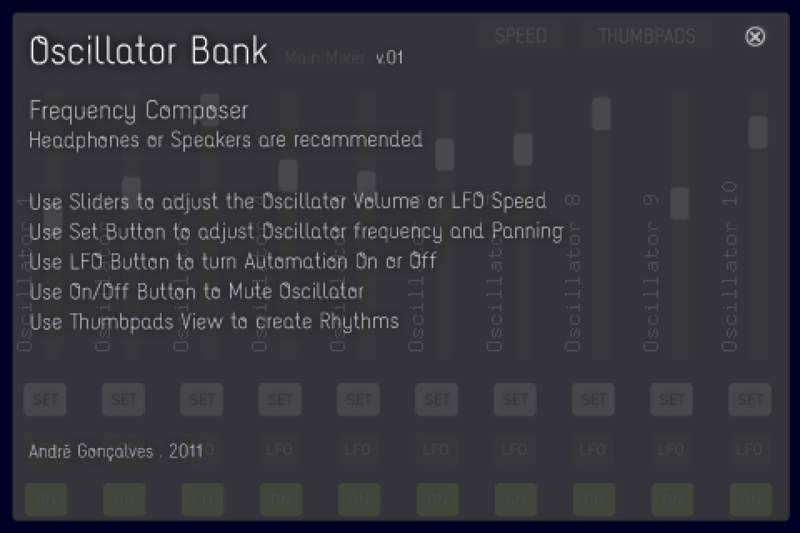 Each of these channels also have a volume automation setting related to a LFO which speed can also be adjusted.